The neighbor mountain to that we'll escalate. It doesn't look very high since we're pretty close to it, but beyond the upper peak shown here there are an additional altitude of like 800-1000m before you'd reach the top. 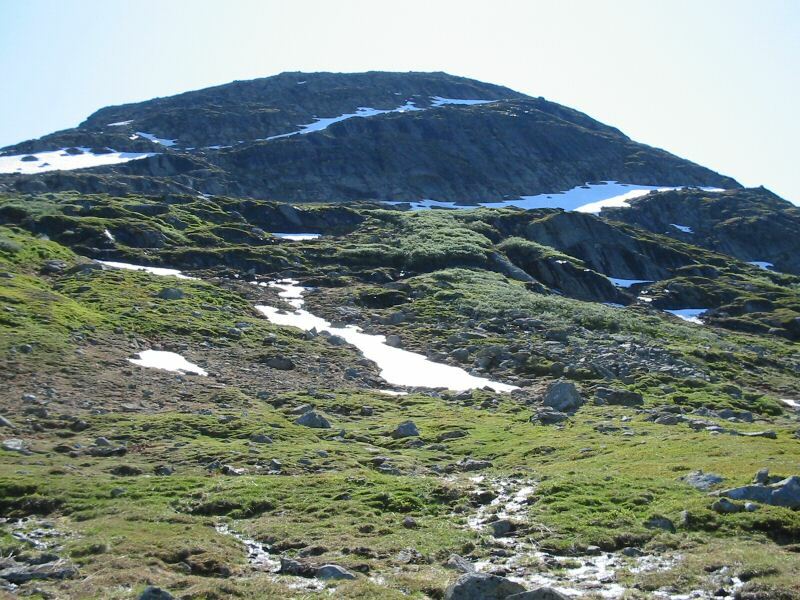 This mountain is only 100m or so lower than Sytertoppen, the peak we're aiming for with this walk.